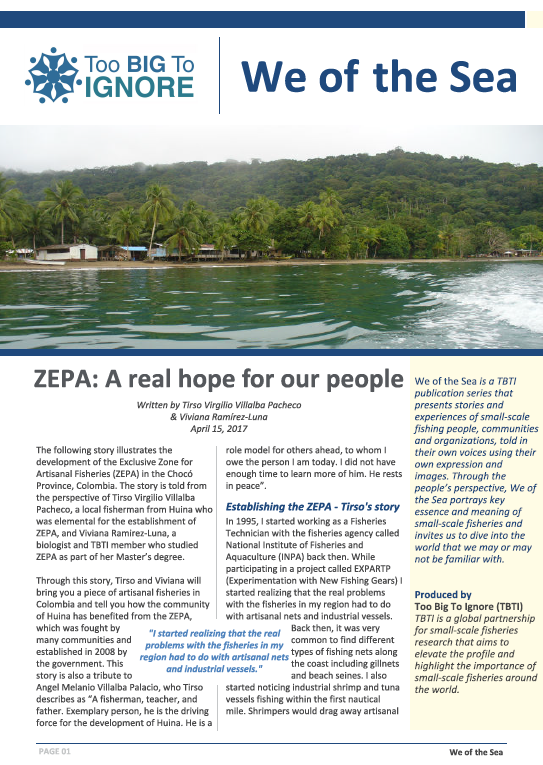 ‘ZEPA – A real hope for our people’ is a new story in the ‘We of the Sea’ publication series. The story, written by Tirso Virgilio Villalba Pacheco and Viviana Ramírez-Luna, illustrates the development of the Exclusive Zone for Artisanal Fisheries (ZEPA) in the Chocó Province, Colombia. ‘We of the Sea’ series present stories and experiences of small-scale fishing people, communities and organizations, told in their own voices using their own expression and images.